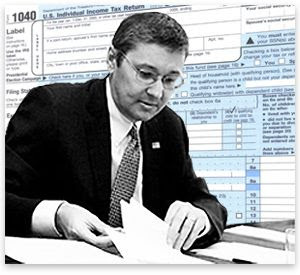 My grand-advisor, Greg Mankiw, is not known to be a big fan of the Democratic party, presumably because they want to raise taxes on the rich, opposing which is one of Greg's causes celebres. However, I wonder if his anti-tax sentiment has bled over into his analysis of other policies undertaken by Democratic politicians. In fact, the evidence shows that the government is pretty good at estimating how many of the companies it supports are going to go bust. In other words, Thiessen's list of failures is about as long as the Obama administration expected the list to be. So Thiessen hasn't really proven much at all. Really? The dot-com bubble caused 90s growth? Remember, Greg Mankiw is a macroeconomist - perhaps the pre-eminent business cycle theorist of our time. Upon what is he basing this claim? To my knowledge, none of Mankiw's well-known business cycle models rely on the idea that asset price fluctuations drive the real economy. Also, to my knowledge, none of Mankiw's well-known business cycle models rely on the idea that sectoral malinvestment drives business cycles. So not only can I not tell what exactly my grand-advisor means by saying that a "bubble" drove the economy, but it doesn't appear to be something that he claims in his published research. Furthermore, the claim is far from obvious when you look at history. The robust growth of the 90s began well before tech stocks became overpriced (measured relative to ex post earnings). And productivity, which one assumes is not driven by "bubbles", accelerated strongly starting in the early 1990s. Note that I'm not necessarily crediting Clinton with the 90s boom, I'm just saying that the boom was no illusion. So to Greg I say: Just because Democrats want to tax the rich doesn't mean that everything they do is a mistake and every Democratic administration is a failure. Just because Democrats want to tax the rich doesn't mean that everything they do is a mistake and every Democratic administration is a failure. Mankiw is advising for Romney's campaign. When I started reading econ blogs, the first I read was Mankiw's. I hoped to learn something from a notable economist. Sadly, lately it becomes more partisan and unbalanced. Too late Noah. Don't waste your breath. He's already hitched to the wagon. Soul sold, no refund. what did obama have to do with the companies that have received loans or loan guarantees? did he personally select them? From the Department of Apples and Oranges, Mankiw Edition: "(By the way, as I recall, President Bush did not spend as much time blaming his predecessor for bequeathing him a sick economy as President Obama has.)" Like grand-advisor doesn't know the real score here. "perhaps the pre-eminent business cycle theorist of our time"
This is embarrassing for all involved, I suggest you change it. Nobody thinks that (not even close). Economics is like religion. The more I read econ blogs, the less I take economists seriously. All magic, all BS, all the time. Noah: "So to Greg I say: Just because Democrats want to tax the rich doesn't mean that everything they do is a mistake and every Democratic administration is a failure. " You're implying that taxing the right - in fact, taxing them until a significant number die from apoplexy - is not a postively good thing. Mankiw is a terrible partisan hack. Frankly I don't see the point of his "blog" - he sits there posting hackish commentary and then doesn't allow any comments to challenge him. Most of his posts are just links to someone trying to score points for the Republicans. Once in a while he'll have a post where he reminds everyone that he teaches at Haaaavarrrd. Mankiw turned off the comments section only a few days after one commenter caught him dead to rights telling a whopper and misquoting published research. Coincidence? No coincidence - Mankiw is clearly just a propagandist for the Republican Party and in addition, his constant references to Harvard tells me that he puts an awful lot of stock in his position and has an incredibly large ego which he does not like to see shattered. The fact that the economics profession continues to take this guy seriously is to its discredit. I guess he's done good research - I don't see why what he says in academic papers should be kept separate to what he says in real life. Noah, do you know of any modern macro models where asset prices do cause changes in the real economy? Look at the Schumpeter, Minsky, Godley tradition and you will find it is built around the centrality of balance sheet linkages across economies and between them. You'll have to toss ISLM and DSGE assumptions and most of what has happened in well funded economics departments since Saumelson. ....Noah: But Professor Krugman, should I really lead with an ad hominem? PKrug: Yes, Noah. This stuff is IMPORTANT. This MATTERS. This is not a game! Use the ad hominem! ..."Thiessen, a Republican operative who is most famous for mounting a spirited defense of government torture"
THAT counts as an ad hominem? I mean, sure, I guess by the strictest definition of the term. But Thiessen's defense of torture is the lede on his Wikipedia entry, ferchrissakes. He is LITERALLY principally famous for mounting a spirited defense of torture. Pssht. Like Noah would use a Blackberry. The funny thing is that our modern ideologues are so similar to their Soviet counterparts. Mankiw is one of many aparatchki gibbering state approved nonsense in exchange for a cushy state approved posting. As PT Barnum or someone put it, "No one ever went broke ignoring the Wall Street Journal editorial page." P.S. Whenever an economist goes on about people trying to advance their own economic self interest, I have to laugh. Haven't they ever heard of Republicans? "Mankiw turned off the comments section only a few days after one commenter caught him dead to rights telling a whopper and misquoting published research. Coincidence?" I never knew there was ever a time you could comment on Mankiw's "blog". Weird! Thanks for rebutting the bit about the dot-com bubble being the only fuel of the steady economic growth that underlined the 90s...also found that a bit suspect...revisionist even?